The copy of the ISO file that the Windows 7 USB/DVD Download tool creates is bootable. Bootable media allows you to install Windows 7 without having to first run an existing operating system on your machine. If you change the boot order of drives in your computer’s BIOS, you can run the Windows 7 installation directly from your USB flash drive or DVD when you turn on your computer. Please see the documentation for your computer for information on how to change the BIOS boot order of drives. Click here to download the Windows 7 USB/DVD Download tool installation file. Follow the steps in the setup dialogs. You’ll have the option to specify where to install the Windows 7 USB/DVD Download tool and whether to create shortcuts on your Start Menu or Windows Desktop. Microsoft .NET Framework v2 must be installed. It can be downloaded here. Before you run the Windows 7 USB/DVD Download tool, make sure that you have already purchased Windows 7 ISO download from Microsoft Store and have downloaded the Windows 7 ISO file to your hard drive. If you have purchased Windows 7 but have not yet downloaded the ISO file, you can download the file from your Microsoft Store Account. Click the Windows Start button, and click Windows 7 USB/DVD Download tool in the All Programs list to open the Windows 7 USB/DVD Download tool. In the Source File box, type the name and path of your Windows 7 ISO file, or click Browse and select the file in the Open dialog box. Select USB to create a copy on a USB flash drive or DVD to create a copy on a DVD disk, then click Next. If you are copying the file to a USB flash drive, select your USB device in the dropdown list and click Begin copying. If you are copying the file up to a DVD, click Begin burning. When your Windows 7 ISO file is copied onto your chosen media, you can install Windows 7 by navigating to the root of your DVD or USB flash drive and double-clicking Setup.exe. Where can I download .NET framework v2? Where can I download Image Mastering API v2? What size USB flash drive is required? You need a USB flash drive with a minimum of 4 GB of free space. Can I use my newly created USB drive to install Windows 7 on someone else’s computer? No. 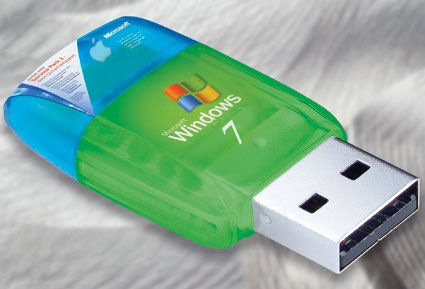 The Windows 7 ISO file on the USB flash drive is only intended to be used to install Windows 7 on the licensed user’s own computer. Can I backup to a CD-R? No. The Windows 7 ISO file is too large to fit on a CD. Can I backup to a Blu-Ray DVD disk? Yes, as long as your DVD drive can write to a Blu-Ray DVD. If I have other files on the USB flash drive will the Windows 7 USB/DVD Download tool delete them? This tool requires the USB flash drive to be completely blank before the Windows 7 files are copied. This helps ensure that the device is bootable after the copying has completed. Can I backup to an iPod, camera, or other device with enough free disk space? Yes, but this is not recommended. The device must be formatted in order for the device to be bootable. A dedicated USB flash drive would be a better option. Can I use the Windows 7 USB/DVD Download tool to backup other files? No. This tool is only for use with the Windows 7 ISO file purchased from Microsoft Store. The following tips might help if you run into a problem using this tool. For users running on Windows XP, you must install the .NET Framework v2 and the Image Mastering API v2 before installing the tool. You can download .NET framework here and you can download the Image Mastering API here. Please note that a restart may be required after installing the .NET framework and the Image Mastering API. If you don’t see your USB flash drive in the list of available devices, please make sure the drive is inserted in the USB port and click the refresh button beside the list of available drives. If there are multiple drives on the system the tool will select the first one that is capable of burning DVDs. If you have multiple DVD-R drives, try inserting the blank DVD into another DVD-R drive. If that doesn’t help, please make sure that your disc isn’t damaged and that your DVD-R drive is operational, and contact product support. Before you run the Windows 7 USB/DVD Download tool, make sure that you have downloaded the Windows 7 ISO file to your hard drive. No. But there is another article which describes how to use this tool with other iso files. To make the USB device bootable, you need to run a tool named bootsect.exe. Make sure the disc isn’t dual-layer DVD disc. Currently, dual-layer discs are not supported within the tool.